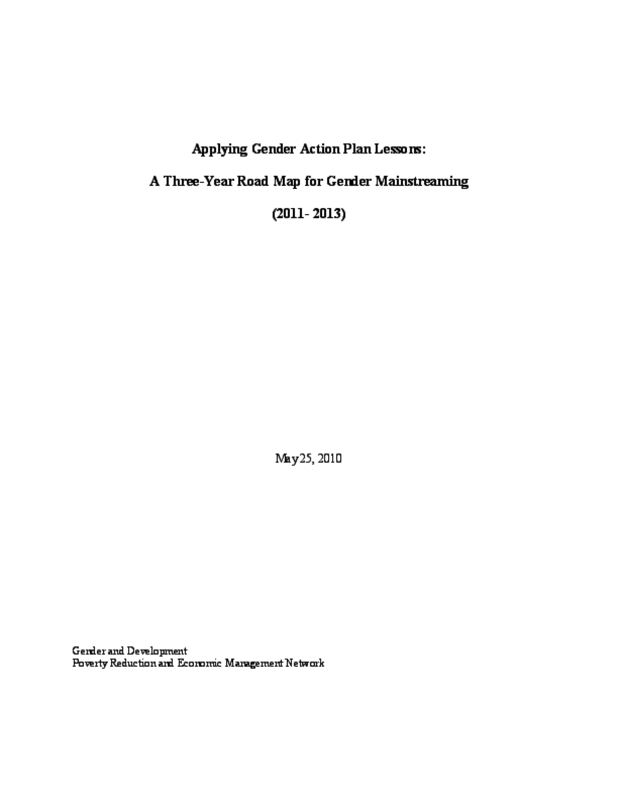 This transition plan identifies key lessons from the implementation of the World Bank Group action plan, Gender Equality as Smart Economics (GAP), and sets out a proposal to improve the performance on Gender and Development. It seeks to strengthen the implementation of the Bank?s gender policy and places special emphasis on improving attention to gender in Bank instruments (CASs). It covers World Bank Group (WBG) operations from 2011 to 2013, and was produced on a request by the World Bank Board of Executive Directors. A GAP Three-year Progress Report accompanies this plan.